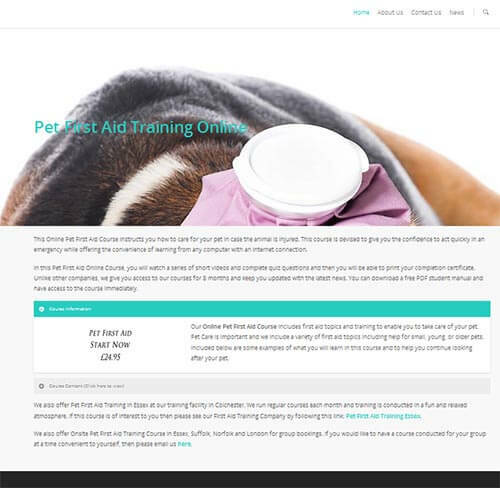 Learn how to care for your pet in an emergency with this online pet first aid training course, offered by online pet first aid training. The course is a video based training programme, with instructor led presentations and is available with all course materials and certification, which can be printed on completion of the course. Additional information can be found on their website: Online Pet First Aid Training.